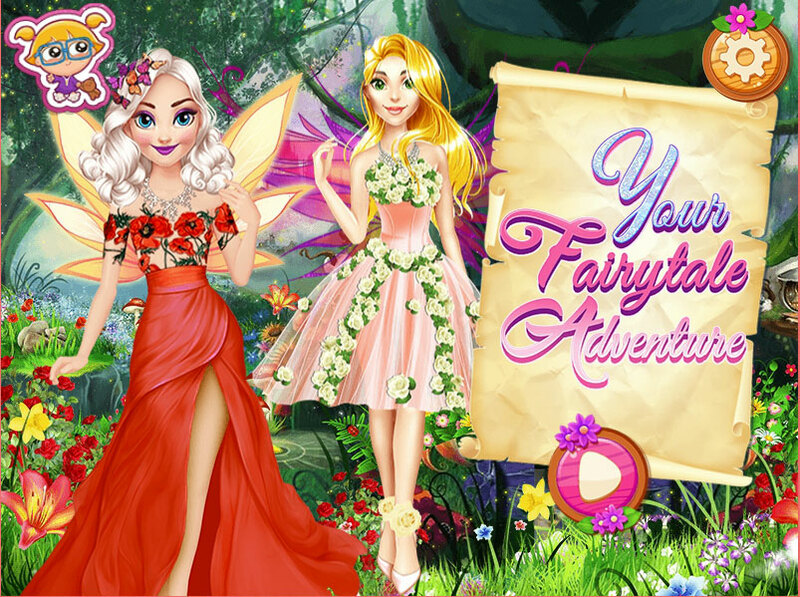 In this game "Your Fairytale Adventure dress up" you will wake up in a fairy tale and find yourself in a real fairy tale. At the beginning of the game, you can choose your appearance. This hairstyle, skin color, makeup and of course the dress. Then you go on a journey through a fairyland where interesting satellites await you, which will help you to go through the whole map and get to the castle. At each level of the game, you can choose outfits for Disney princesses, as well as roll the dice to go a few steps ahead. If you like this game, then I suggest playing other games with Disney princesses where you can enjoy their company and have fun. Played: 3402. Added: 4-12-2018, 09:48. Fairy tale adventure with princesses game.